Honestly though, we are doing the best we can in raising a healthy blended family, and desserts are typically not very healthy! That doesn't mean we have to skip dessert, but it does mean we can be smart about what we choose to serve...especially for the kids. In fact, one of our kids has "sugar issues" already, so providing a dessert that doesn't have a lot of added sugar is HUGELY IMPORTANT!! All products for this review/feature were purchased on our own accord! The company we are featuring had no idea we were going to feature them. I received NO monetary compensation by posting our honest opinion about this product. My "soon to be" Mother In Law found YONANAS at Costco for us! She was intrigued by it and hoped that it would give us a simple & delicious solution to dessert time in our home, especially for the kids who need to watch their sugar intake. That's exactly what it did! 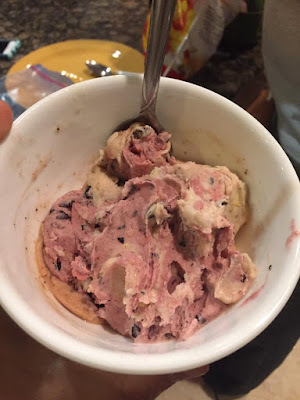 YONANAS takes frozen bananas (they need to be really ripe so they are full of flavor when you freeze them), you can add whatever else you'd like (because the bananas is the base to the frozen treat) and TADA....a bowl full of frozen dessert goodness! This dessert option has been good for us, for several reasons. We always have bananas that end up getting almost "over ripe" and the kids won't eat them. 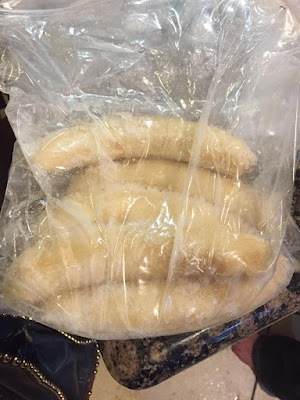 PROBLEM SOLVED - peel & freeze them to use for Yonanas, so they don't go to waste. 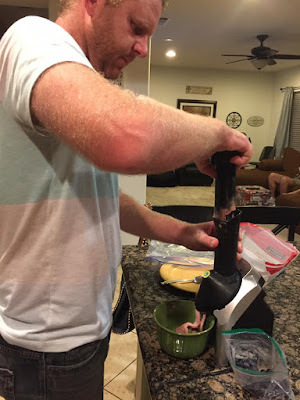 You basically push the frozen bananas and whatever else you'd like through the YONANAS machine and out comes a creamy frozen fruit dessert unlike anything I've ever tried before! IT'S AWESOME and pretty fun to make! None of us have to feel guilty about eating a HUGE bowl full of frozen fruit...because it's good for us! Plus, each person can create their own tasty treat...adding chocolate chips, other frozen fruits, caramel, peanut butter or whatever else you can think of. Plus, YONANAS comes with some already tried and true recipe combinations to give you some guidance as you try it out. It is also dishwasher safe, so washing isn't a hassle either! I am honestly NOT FOND of fresh bananas by themselves. There is only two ways that I will consume them...frozen in my bowl full of yummy goodness or in a sushi roll (yes, it's the BEST...trust me!)! Because you add other things into the combination, only the sweetness of the banana comes out in the flavor...not much of the banana flavor itself. YONANAS can be purchased at lots of different places and it's PRICE is worth the value you'll receive by offering your kids a frozen HEALTHY fruit dessert! 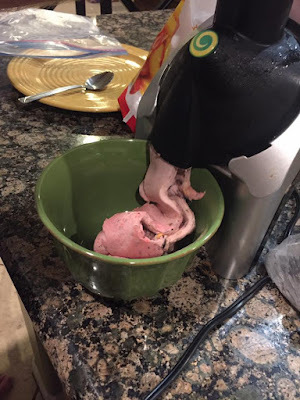 CLICK HERE to learn more and see for yourself how easy and tasty this frozen treat can be...for your whole family too! I was not paid to feature this post! I was not compensated at all by posting about Yonanas! I am posting on my own accord about a product purchased for us by my future Mother In Law, that we love using for our family. All products for this review/feature were sent free of charge by the company being featured! I was not offered any monetary compensation by posting about these cosmetic kits that are available at Walmart. My girls are no exception to this rule! They love playing "MAKEUP!" Whether it's on themselves or on me (yes, I am the test dummy a lot), they are learning how to properly apply things like eyeshadow, eye liner and lipstick. Some of this stuff takes some time to learn how to put it on right. 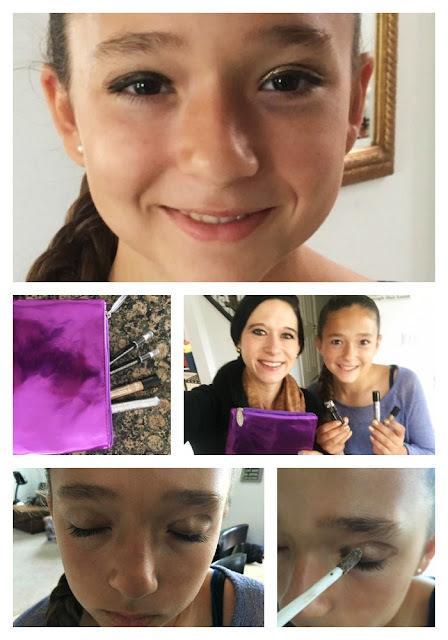 I am having our girls wait until they are a "freshman" in high school to actually wear the products "out of the house", but for now, it's fun to practice and learn. Me personally, I don't wear very much makeup at all. I guess I'm lucky because I really don't need to! I throw on some concealer (to hide my under eye bags), some eye liner & mascara and maybe a little blush. I rarely wear lipstick, unless I am trying to "vamp up" my look! HA!! But I do love playing makeup too! I wish I was better at putting on eyeshadow or could pull off the "winged" eyeliner look! In fact, this weekend I was in my cousins wedding and I had my first experience with "airbrushed" makeup! That was pretty awesome! 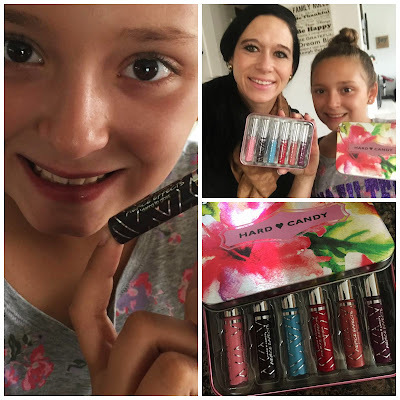 So when HARD CANDY COSMETICS sent us to products to try out and tell you about, we (all three of us), were pretty gosh darn excited!! HARD CANDY COSMETICS can be purchased at Walmart, which means that these cosmetics are affordable for everyone! They fall in everyone's PRICE RANGE! 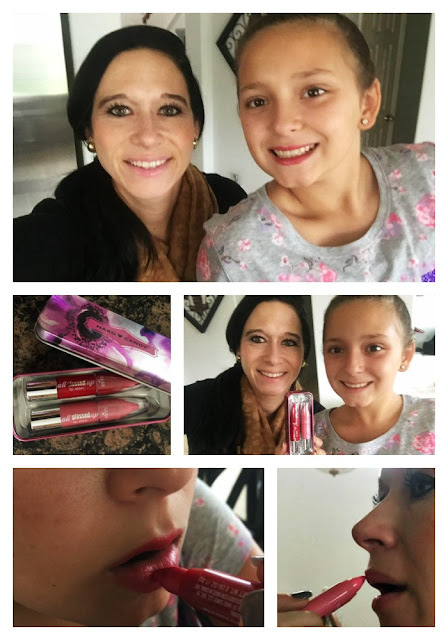 Teenagers can purchase these, moms wanting to update their current look and even ladies in their older years that still love trying new products without spending a ton of money doing it. We received three sets of make up from Hard Candy! We got the "Wish For A Kiss" Lipgloss collection! This comes with six amazing color lipglosses and can be stored in the adorable collectable tin. Some of the colors seemed a little different (blue and almost black), but because of the sheer nature of the gloss, they are all "wearable" for us! LOVE IT!! We got the "Eye Color Collection with Cosmetic Bag". This comes with two liquid eyeshadows (we had never tried them before) and two eyeliners (white and black). Our oldest daughter loved them both and felt pretty wonderful wearing them. In fact, I might have a struggle getting her to wash it off before we leave the house! The colors are super flattering on her! We also received the "All Glossed Up Lip Stain". These look like lipsticks (their applicator), but apply more like gloss? The colors were bright and pretty and we both enjoyed our final look! OVERALL, we loved all the products we received from Hard Candy! These could be easily given as gifts (Christmas or birthday presents) or for every day use, especially because they are so super afforable! All of the products featured above range are under $10 and can be purchased at Walmart stores near you! 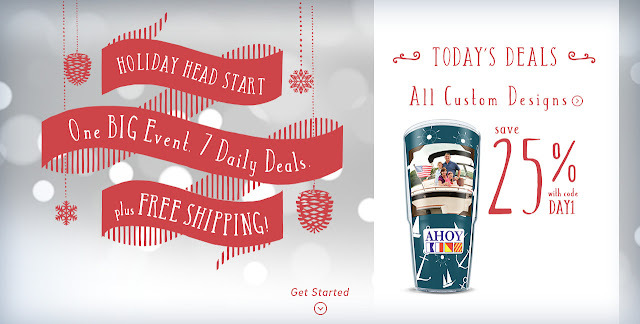 CLICK HERE to see all that Hard Candy Cosmetics offers! I was not paid to feature this post! I was not offered any monetary compensation by posting about our experience with a neighbor "booing" us. I slowly opened the front door to find a brown paper sack with a couple papers stapled to the front. 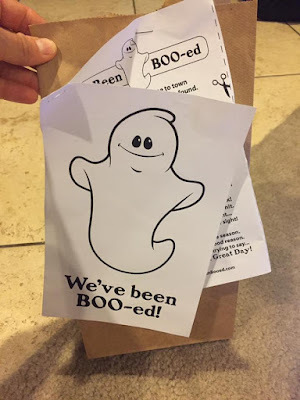 The first page says, "We've Been Boo-ed!" 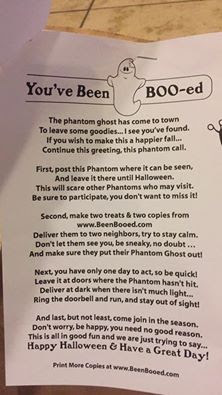 The second page was instructions on what it means to be "boo-ed" and how we should proceed! 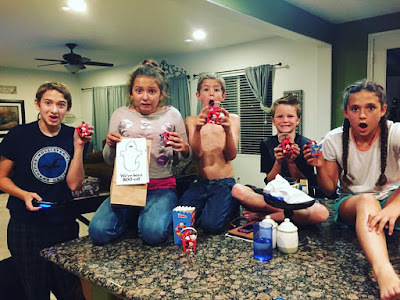 This was OUR first time as a "blended family" ever being "Boo-ed" and we loved it! If you can't tell from the looks on our happy children's faces, they were super excited to see what was in this surprise brown paper bag! Inside, there was a sweet treat for each of the kids and another for Kurtis & I to share! I think "whoever" did this...may have started a new Halloween Tradition for us! Also, whoever did this knew exactly how any people we have in our home! Today, we get to spread the cheer and pass this on to two of our neighbors. CLICK HERE to find out more about this fun Halloween activity and to print out the pages so you can start spreading some sweetness around your neighborhood before Halloween arrives. I was not paid to feature this post! I was not compensated in any way by posting about our experience with a neighbor spreading some Halloween cheer with us! Because we are an economical "blending family" who also likes to keep the environment in mind when packing lunches everyday, we decided to purchase "reusable" water bottles to refill daily with filtered water from our fridge, to send in our kid's backpacks to school? All products for this review/feature were sent free of charge by the company represented! I was not offered any monetary compensation by offering my honest opinion about the products mentioned in this review/feature! Buying plastic water bottles (the prefilled and throw away kind) is a waste of money and is not good for the environment! If we use refillable water bottles, we can sometimes mix it up, by sending a juice or something else for them to enjoy with their snack/lunches at school! NOT ALL WATER BOTTLES ARE CREATED EQUALLY!! We have already had a couple bottles meet the trash can this school year (and we are only a couple months in). We've also had a water bottle leak all over the inside of a backpack (ruining books and homework) and not all water bottles are dishwasher safe either (which I love), so washing is a hassle. 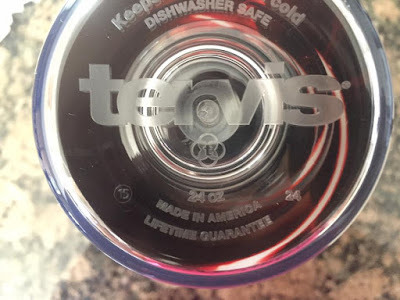 Have you heard of TERVIS before? You probably have seen their products and didn't even realize it! You may even have some in your cupboards already! Their products are basically carried EVERYWHERE!! Target has them! Walmart has them! Amazon.com has them! Bed, Bath and Beyond has them! TERVIS is a brand name that is trusted by more than just our household. Tervis was awesomely willing to send us six different water bottles/travel mugs for our six, very different children to use for the rest of the school year! 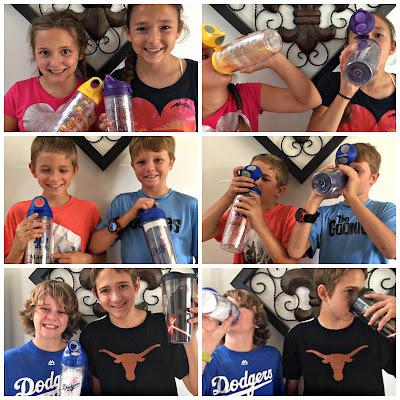 The best thing about this review/feature (in my opinion)...I have no doubt these water bottles will make it through the end of the school year, through the summer months (water bottles are in high demand in our house when it's hot outside) and next school year too. Why am I so confident? 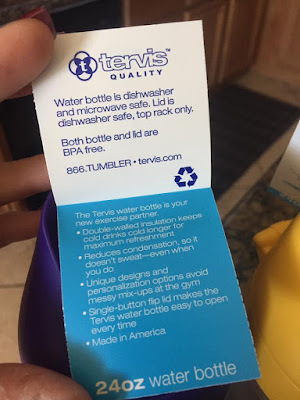 Well, TERVIS makes quality water bottles, insulated drinking cups, travel mugs and more. Their products have a reputation for withstanding the tests of time...and if not, they offer a "Made for Life, Built For Life" GUARANTEE! How can you go wrong with purchasing one of these bottles? Seriously? The initial investment is worth it in the long run! Plus, as you can see by the looks on our kid's faces, they were thrilled with their selection of Major League Baseball teams (as you can tell we are Dodger Fans), Star Wars, Emoji Themed stuff and even "girlie GIRL POWER" sayings. They had a little something for everyone to love. Plus, they can personalize products, like this one was made for my youngest son, with his name on it! He feels so special! They offer a "CREATIVE" section on their website, where you can design your own product as well. The only hiccup we found with the customizer is that you cannot use pictures that are NOT YOURS! No copywrited pictures, no duplicated from the internet, no logos that you don't own, etc. can be printed on their products. 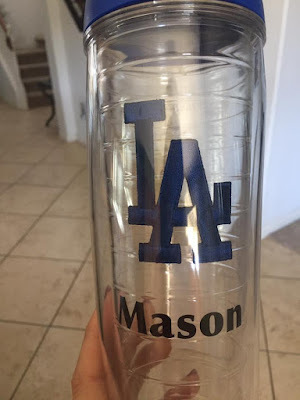 Our two thirteen year olds found this out the hard way, after spending an hour each on their own personalized design, to find that the pictures they were using could not be printed on a Tervis product. LIFE LESSONS people!! You've gotta read all the details before you start designing your product! LESSON LEARNED! 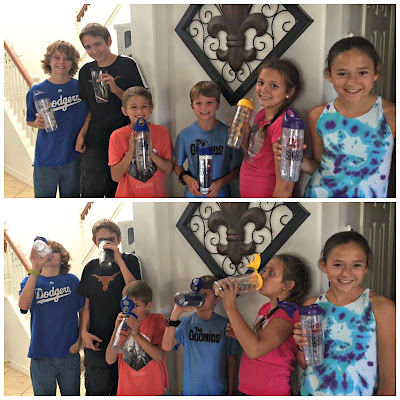 Our kids love their Tervis water bottles & travel cup! 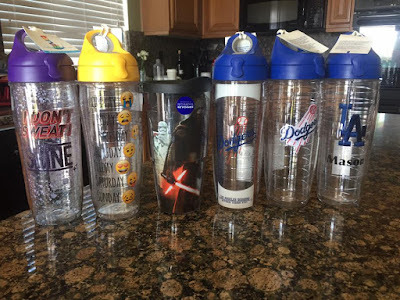 In fact, I'm sure there are kids at each of their five schools, who have gone home asking their parents to buy them a Tervis Water Bottle for them! CLICK HERE to learn more about Tervis products, to see their selection of products or to find out where you can purchase one...in store...today! I was not paid to feature this post! I was compensated only by the products sent from the company directly for this review/feature! 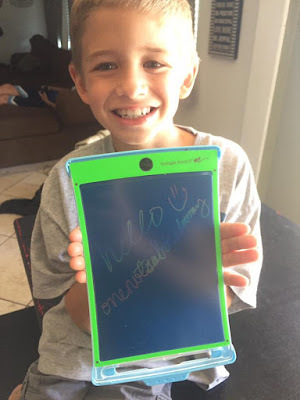 Should the MAGIC SKETCH Be On The Top Of Your Kids Christmas List This Year? Christmas isn't that far away! Have you started your Christmas shopping yet? Kids always want the latest and greatest gadgets for Christmas! 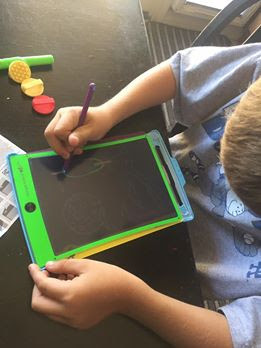 Electronic toys are all the rage, but what about toys that encourage your child to be creative too? In our home we try to encourage the creative side of things! Seeing our kids use their "brain power" instead of "video game" power is strongly encouraged & positively praised! With that being said, our kids always want the newest thing, especially the ones they see the most, advertised on TV during their favorite shows. All products for this review/feature was sent free of charge by the company. I was not offered any monetary compensation by posting my honest opinion about the products being featured! When Magic Sketch contacted us to see if we'd like to do a review/feature, I was excited! 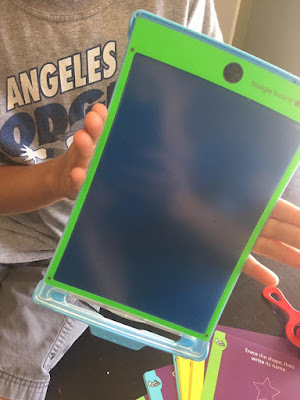 Sometimes these types of products don't really do as they claim to, so I love being able to tell other parents whether products are worth the cost to purchase for their kids. Besides that, growing up, one of my favorite toys to play with, was the etch a sketch, so this definitely seemed interesting to me. The Magic Sketch Deluxe Kit arrived in a box loaded full of things. 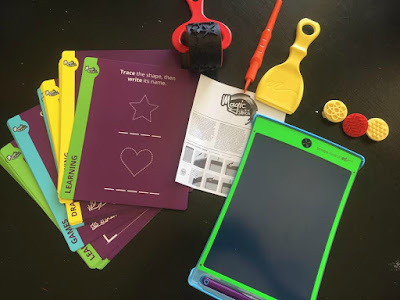 The see thru multi-color screen, protective case, a huge package (60 to be exact) of stencils for tracing and problem solving, 4 different stylus, 1 roller and three stamps. Our youngest got to try it out first. The durable water resistent screen is pretty cool because you can put your something behind it and basically trace over it with the stylus. You can play tick-tac-toe on it. You can practice spelling on it, solving match problems or just doodling on it. Best of all, all it takes is a touch of the button and the entire screen clears perfectly. Our son enjoyed trying out the different stencils and stamps. The stamps don't work as easily, you really have to press hard to get the imprint on the screen, but they do work. He really loved the package of stencils...because they had cool patterns & pictures to trace and so many more activities as well. This is definitely a product that could be use on a long car ride to entertained a stir crazy child. Plus, it's basically mess free! Every parent loves products that are. The girls got their turn to try it out and they loved it too (ages 10 and almost 13). In fact, the oldest said that it's actually soothing to trace on it. She liked the mutlicolored "rainbow" screen too. The only thing that bothered her about it, is that, if you make a mistake and push the button, the entire screen clears! Our youngest daughter loved that she can practice writing her "countries" quiz answers on it, over and over again and there is no paper waste involved. Plus we can never get enough games of tick-tac-toe in, when there is nothing else to do. For $29.95 and shipping, I would say this is a product that not only my 8 year old, but 10 and 13 year olds enjoy as well. 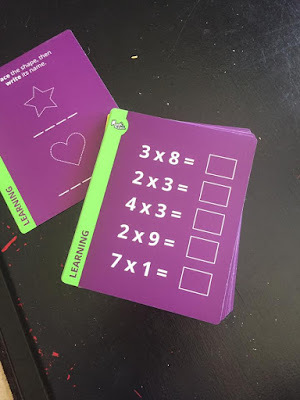 It's something that would be ideal for homework practice, to take with you "on the go" (because it's mess free) or even a way to calm an upset child down (giving them something positive and calming to focus on). Plus, it has a battery installed that is supposed to last up to 7 years and is easy to change when neede! 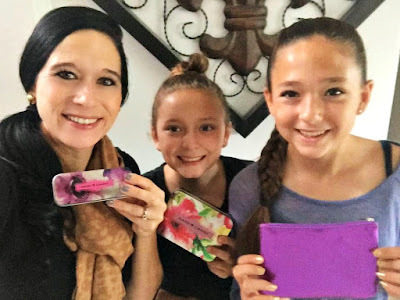 CLICK HERE to check out their website and perhaps you'll be ordering some Magic Sketch's for your home, your car (for in car entertainment) or even for presents for Christmas this year for your family! I was not paid to feature this post! I was not compensated in any but the product that was sent free of charge by the company for this review/feature!! The ladies in our home are outnumbered! It's five guys versus three ladies in our house. But that's okay, because when it comes to being LADIES...we are really good at being ladylike! All three of us LOVE girly stuff! Manicures, makeup, trendy clothes and all...we love anything that makes us feel feminine. All products for this review/feature were sent free of charge by the company themselves. I was not offered any monentary compensation by posting my honest opinion about these products. 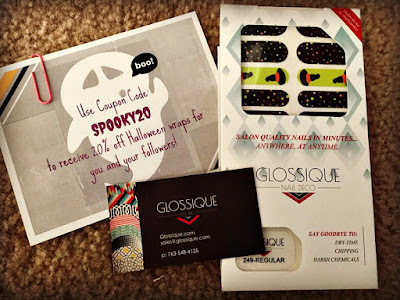 So when Glossique contacted us to do a review for their "Nail Deco Decals", there was no way I was passing it up. 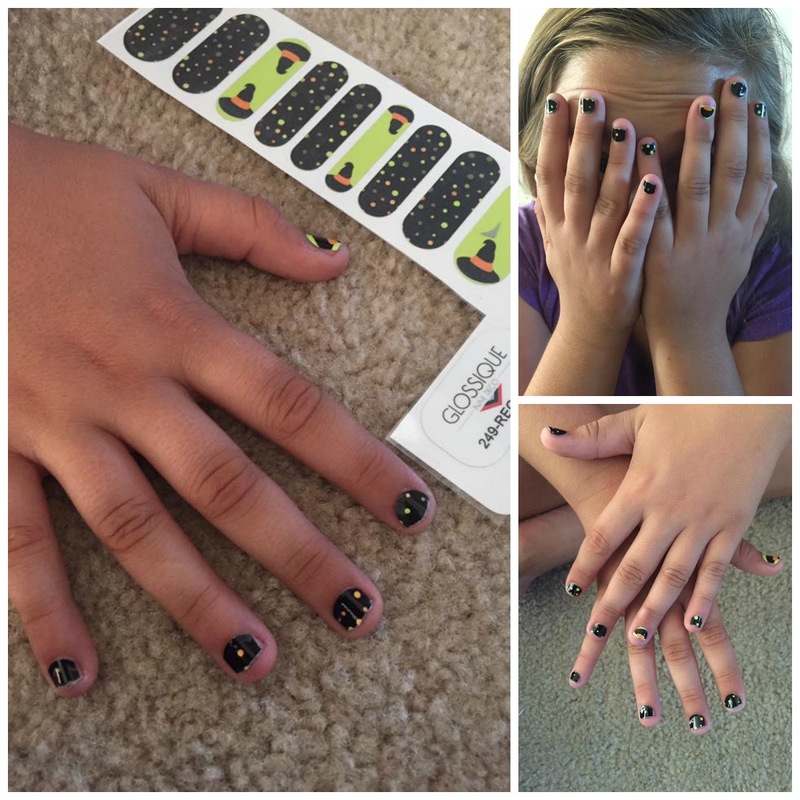 Plus...they were excited to send us their some from their SEASONAL FALL collection and since we started the month of Boo's and Spooks...we were thrilled to have some festive fall fingers & toes. 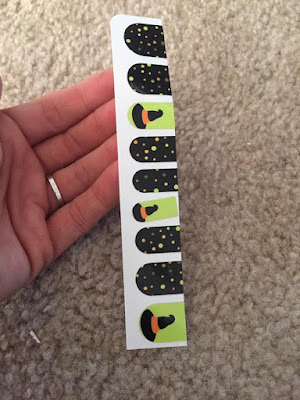 We received an envelope that had the "BEWITCHED" nails decals inside. Cute little witches hats and black with Halloween colored polka dots. Our youngest daughter was super excited to volunteer to help me with this review/feature! 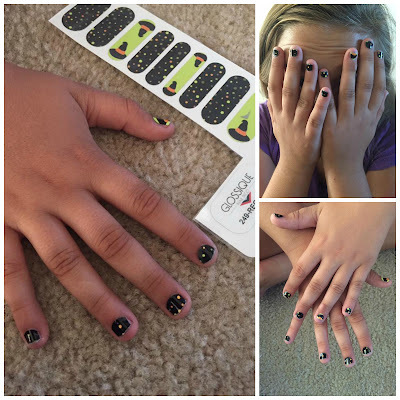 We read the directions, made sure her nails were free of nailpolish, wiped the beds of her nails with nailpolish remover (to remove any oils), cut the decals in half (she has tiny nails and this makes them last twice as long) and proceeded in applying them. The only problem I found with the application process is that her nail beds are so small, I had to cut a lot of the decal away to fit her nail bed. Otherwise...the process was super easy, and we had her entire hand done in less than 10 minutes and we were on to working on her other hand. The only issue I have with these decals, as I've had with past products like this, is that because I use my hands all the time (at home cleaning, at work serving food, constantly washing), these nail decals won't stay on my fingers long at all. Sometimes they don't even make it a day. So...I would definitely use these for "SPECIAL OCCASIONS" on the day of. Otherwise, these wouldn't be worth the cost to me. However, for those who are not SUPER ACTIVE with their hands (or with constantly washing them or in a pool a lot), these will last as claimed (up to two weeks on hands and four weeks on toes). I honestly know that they will last longer on my toenails, which is awesome! My adorable pedicure will last and last! Are you interested in trying these out for yourself? Maybe for the girly girls in your home? They are offering my readers a 20% discount if you use the code: "SPOOKY20" at checkout! ENJOY! 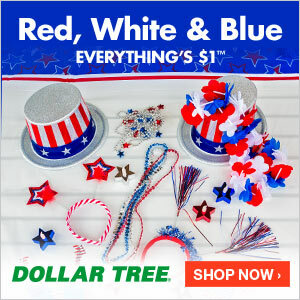 CLICK HERE and have fun shopping! I was not paid to do this review/feature! All products for this review/feature were sent free of charge by the company being featured! No monetary compensation occured with this review! I have never been good at making pancakes. In fact, I have always dreaded the thought of cooking them for breakfast. No matter how hard I tried, I either burn them to a crisp or they are raw in the middle (so gross). I've never been able to master a happy medium with pancakes! This product review/feature was not sponsored or promoted by any company. This review/feature is being posted on my behalf for the many mom's in the US that could use a helpful cooking product like this. This product was sent to me, for a Christmas present from my family in Texas. They purchased this product on their own accord. 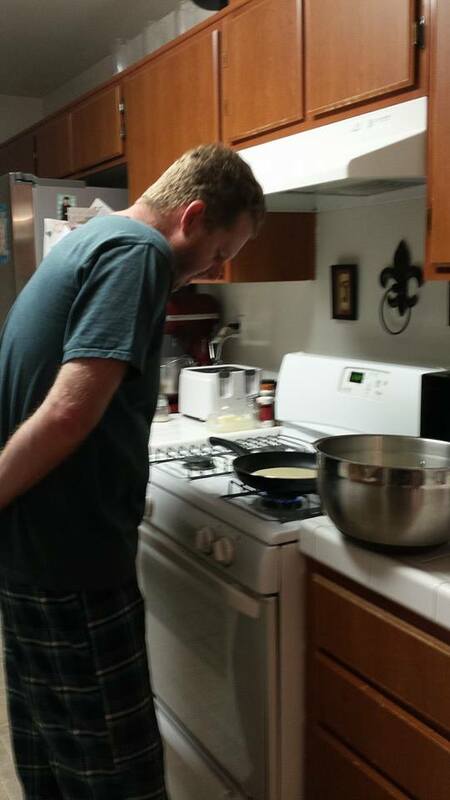 Every year, it has been our tradition to make pancakes on Christmas morning to celebrate "Baby Jesus" birth. Every year, I pray that I can pull off some decent pancakes and most Christmas mornings they are choked down (out of manners & tradition)...but far from perfect. For Christmas (I think), my parents sent me and the kids "THE PERFECT PANCAKE PAN" . It made me giggle, because they knew how much I disliked making pancakes! I'll be honest, I doubted that even a pan that claimed to make "PERFECT PANCAKES" could help me, who can barely make an edible pancake, magically create perfect pancakes. Kurtis was the brave one, who tried it first. 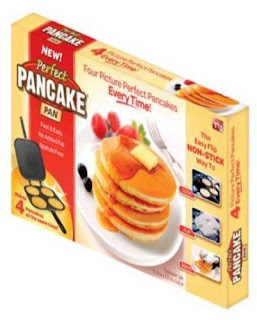 He is an awesome pancake maker...even on a griddle, but this product makes four pancakes at a time. 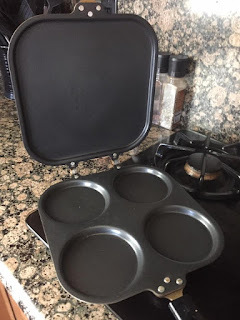 He was impressed with the ease this pancake pan brings when "MASS PRODUCING" pancakes for eight of us, especially on busy weekday mornings when we are getting a houseful ready for school. In fact, we could probably use a second one, because of how many we have to make! And in case you're wondering, all six kids love pancakes for breakfast! This PANCAKE PAN works! It really does! It legitmentally creates the perfect "silver dollar" sized pancakes everytime! It's super easy to clean up after you use it too, which I LOVE too! Kurtis and the kids are too! 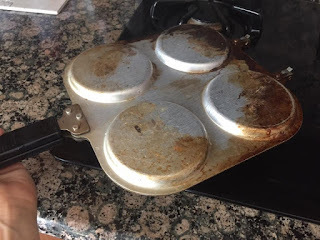 We use this Perfect Pancake pan, at least twice a week, to make pancakes for the kid's breakfasts. 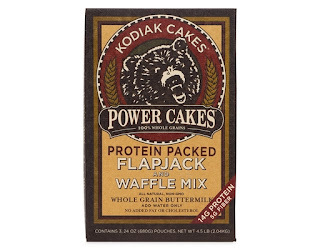 When we make pancakes, we use Kodiak Cakes Flapjack and Waffle Mix. It's healthy, it's hearty, it's naturally sweet and if you put a few chocolate chips in them (my kids and I love chocolate chips), then they don't even need syrup. Then we feel good about sending the kids off to school with a belly full of hearty goodness! 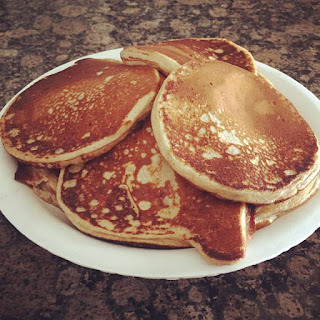 TRUST ME...buying this perfect pancake pan (ours is looking pretty used, but still works awesome) is well worth the cost (it's under $10 with free shipping on Amazon.com) and you're family will be thanking you, as they induldge in plates full of silver dollar sized PERFECT PANCAKES!! I was not paid to feature this post! I was not compensated in any way by posting this feature! This product was sent to me, free of charge, by my parents as a Christmas present!